For the last few months I've been working on a fascinating analysis and benchmark of the business models of the top 3500 US and European publicly-traded companies, on behalf of BearingPoint and in collaboration with AI-firm OpenMatters. The top European incumbents saw a flat line in revenues over the last 6 years, so they urgently need, in the words of Steve Jobs, to 'think different'. The report - out soon - will show how. 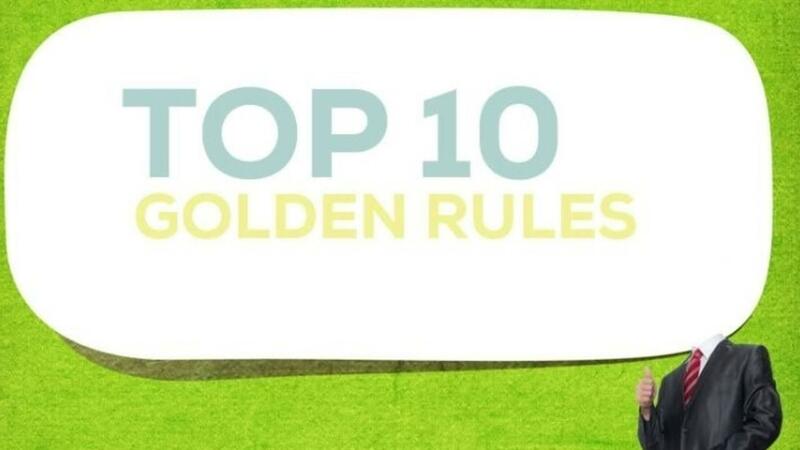 In the meantime, below are 10 'Golden Rules' for Business Model Innovation that I've gleaned from reviewing best practice. Large companies are typically optimized for managing the existing business model, but poor at nurturing new growth initiatives. Transformative business model innovation is not about R&D or skunk works or something to be left to start-ups in a corporate accelerator. It needs to become a core competence of the organization, managed rigorously - but differently - with different people and different incentives. The ultimate objective is to create new growth engines that drive demand for the most profitable part of the (future) core business. My research suggests 10 new rules to guide true business model innovation at large, incumbent organisations. How does your company rate against these today? 1. Become an 'ambidextrous' organization: Create a place in your organization – with power - where new business models, as opposed to new products, are created and tested, at scale. Apply different metrics, and assign different skills. 2. Act like an investor: Create a portfolio approach to business model innovation, based on a fundamental re-evaluation of how to create new growth flywheels and synergies with the existing business. 3. Define two categories of leaders: clarify which senior leaders jobs are to optimise the current business model, and which are to invent the future. Don't mix them up. 4. Properly incentivize innovation: create different incentive schemes for those focused on execution and those focused on innovation, and make business model innovation a prestigious role. 5. Avoid business plans for new ideas: create processes that force internal innovators to systematically prototype and test ideas in the field and provide evidence that their ideas will generate value. 6. Get out of the Building: don’t rely on 3rd parties to do market research with customers. Ensure internal teams roll up their sleeves and do rapid prototyping directly with customers. 7. Ignore Competitors: focus on customers when developing and testing new value propositions, business models and growth flywheels. 8. Assess Risk holistically: ensure you rigorously test customer desirability, financial viability, market adaptability, and not just technical feasibility. 9. Enable flexible decision-making: follow Jeff Bezos’s way of enabling speed and inventiveness by distinguishing between non-reversible decisions with large sunk costs and reversible decisions such as experimenting with a new offer. 10. Integrate Innovation with Execution: ensure collaboration between 'future' and 'present' groups within the organisation, so that internal innovators are able to leverage corporate resources to out-compete agile start-ups.